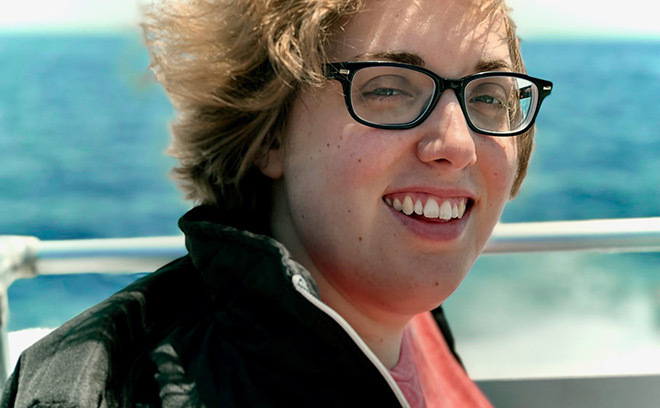 Rachel Fowler is an Emmy-nominated editor and title designer based in Los Angeles. A native of Charlotte, North Carolina, Fowler earned a BFA in Film Editing & Sound Design from the University of North Carolina School of the Arts in 2012. That same year she moved to California and joined Prologue Films as a lead editor. At Prologue, Fowler has worked on title sequences for film and television, including American Horror Story: Coven, Salem, Good Behavior, Beauty and the Beast, World War Z, Star Trek: Discovery, and Feud, which earned her an Emmy nomination in 2017.